This riding exercise first appeared in the December 2017 issue of Heels Down Magazine. For more stories worth reading, subscribe now in the app and get a new issue delivered every month. 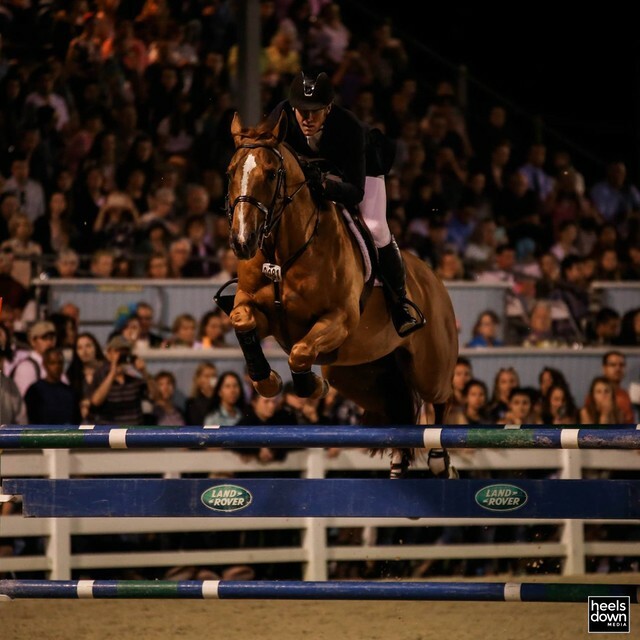 Canadian Eventer and two-time Olympian, Jessica Phoenix, shares a five-pole circle exercise she uses to strengthen her horses and to keep them on the aids. 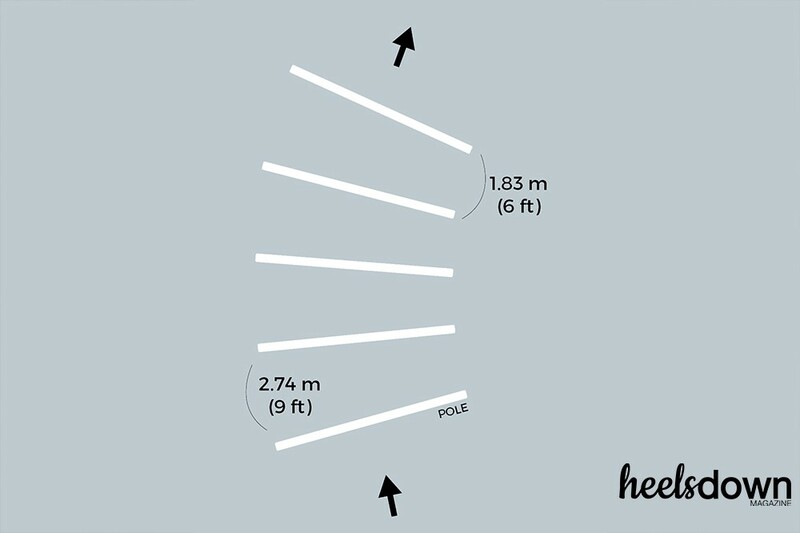 When you are setting it up, you should have 6 feet (1.83 m) in between the center of every pole and 9 feet (2.74 m) on the widest part of your circle over the poles. 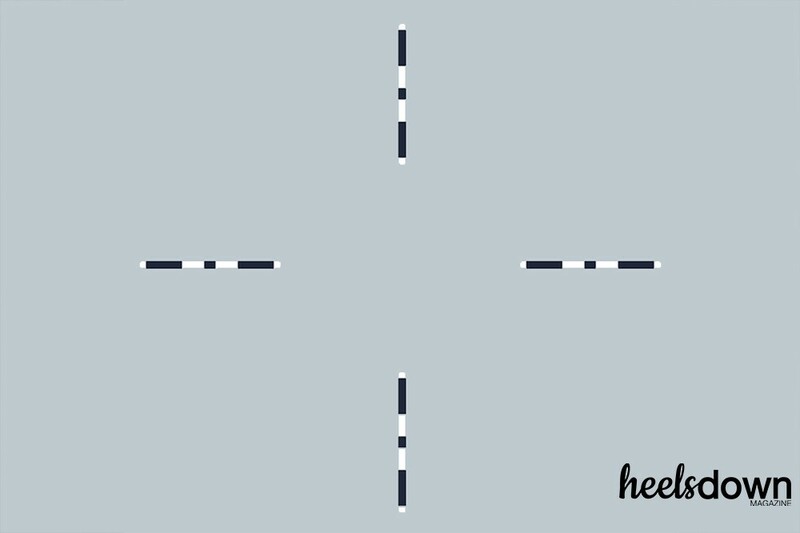 As you go through this exercise, canter through the very center at a regular canter. And then as you progress through the exercise, collect the canter and come to the inside of the poles. Once you have accomplished that, go forward in the canter and and move to the outside of the poles, where there is a greater distance. This is a fun exercise to help you strengthen your horse, make sure that they are listening to you, that you can go forward and collect and that you can make them stronger. This exercise should always be set up at the trot first, so that the horse understands the poles, that they understand the line that you’re taking them on and you make sure that you have the direction and the pace correct before you move forward to the canter. 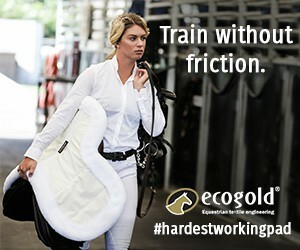 This exercise is for every level of horse. Our beginner horses do this exercise to our four-star level horses. You can also increase the technicality of it by raising the poles off of the ground. You can raise them in a criss cross pattern, so you can raise one pole on the left side and the next pole on the right side, or you can raise all on the right, or all on the left.